Amil Virani placed 6th overall in the category of Financial Consulting. Danielle Hance had a top 10 finish on the exam portion on her way to placing 6th overall in the category of Hospitality & Tourism Professional Selling. Brooke & Luke Kirchner placed 6th overall in the category of Integrated marketing Campaign Service. 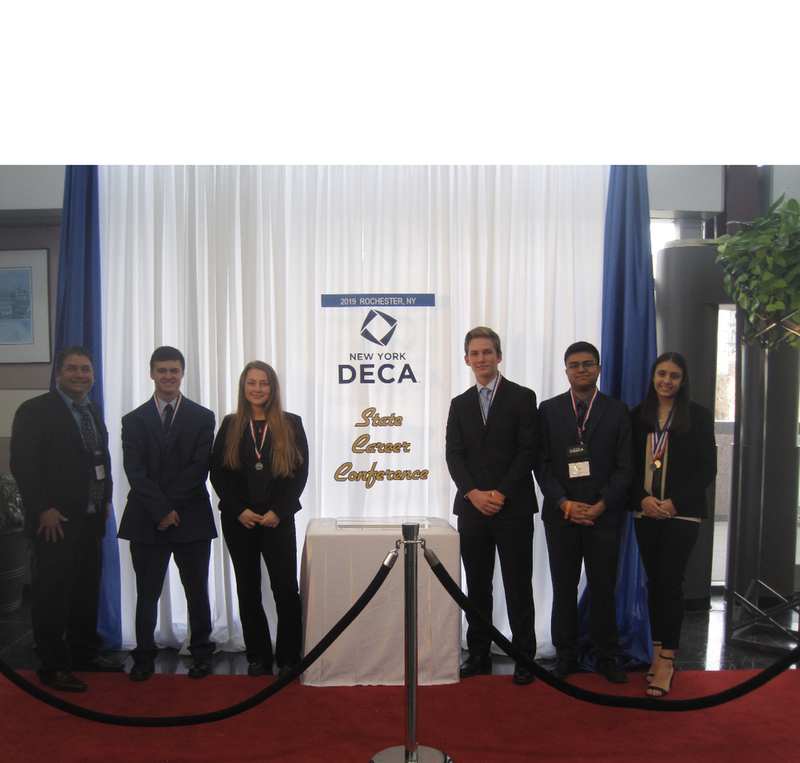 These 4 students will be competing on the DECA International level next month in Orlando, Florida. John Loughlin Jr. had a top 10 finish on the exam portion. It is a team effort that gets these kids to a point where they can illustrate their talent and ability. We are so proud all my students that competed. Our 4 freshman had a great showing in their first year.